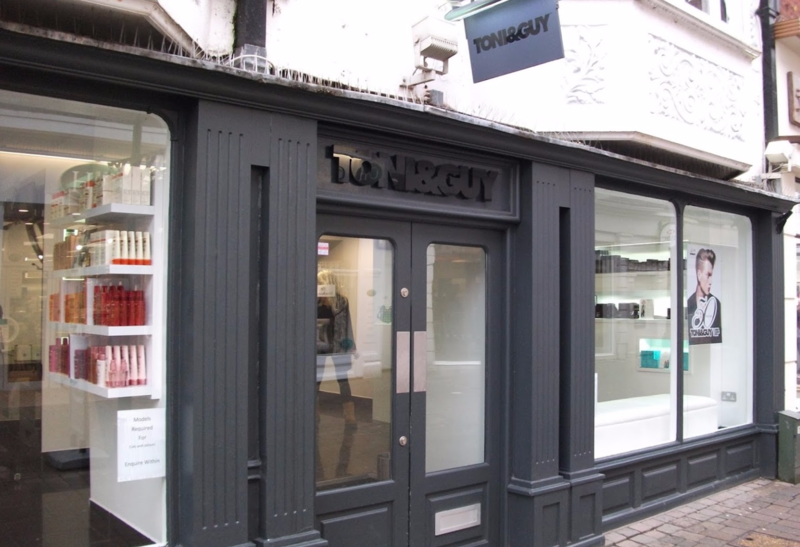 TONI&GUY Horsham opened in the centre of the lovely market town in 1997. As a salon we pride ourselves on delivering the highest standards of customer service to each and every client. Our talented team of stylists and technicians are on hand to give you expert advice and create hair that is individual and easy to live with, interpreting fashion trends with versatile wearable styles. The standard of hairdressing and the friendly professional service offered by the team leaves little doubt in the minds of our loyal client base that this is the best hairdressers in Horsham. Members of our salon are part of the TONI&GUY Session Team and have worked alongside the International Artistic Team on catwalk shows at London Fashion Week, bringing the latest trends from the catwalk to our clients making us one of the most highly trained hairdressers in West Sussex. We offer many additional services including Bridal and Occasion hair and the NanoKeratin Smoothing blow-dry. Our wide range of haircare products include label.m, GHD, Moroccan Oil, L’Oreal, Kerastase and Tangle Teezer to keep your hair salon perfect until your next visit. Such a great cut always. Lovely staff. Lovely experience and great listening to what you would like. I did have my hair colour done last week by Laura and am extremely pleased with it. Today Emma cut my hair beautifully. They are both excellent. It’s always a very good experience. Everyone is so friendly and professional. Always excellent service. Very caring and considerate in making sure that I was comfortable following recent surgery. Many many thanks to all the friendly staff at Toni & Guy Horsham ???????????? Excellent service as usual ..always a pleasure to pop in everyone is brilliant a lovely atmosphere ..
Cappuccino and biscuit got things off to a good start. Lucy, my style director, was lovely as a person, very competent and very friendly. We had a good chat, and I got a good haircut... no more to say really. Ellie was brilliant as always. Had a fabulous visit today. Brilliant cut by Rachel. Love that girl.